Celebrating four decades of promoting literacy and a love-of-books to readers of all ages around the world. HICKLEBEE'S ARRIVES - In March 1979, four friends - Jan Gottlieb, Valerie Lewis, Georgia Osborne and Vicki Villarreal - prop open the door in a small space on Willow Glen's Lincoln Avenue and call it Hicklebee's: The Metamorphosis of the Bookworm. MONICA SIGNS ON - Monica Lewis Holmes joins sister Valerie and partner Jan Gottlieb as co-partner/owner of Hicklebee's. All are deeply involved promoting literacy, and are key leaders in related organizations, i.e., regional and national American booksellers associations. 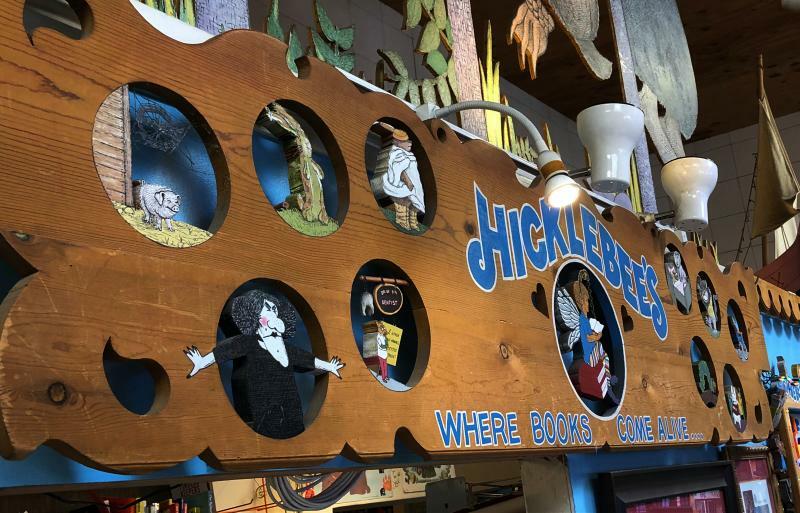 HALL OF FAME AND AUTHOR ARTIFACTS - Artists Steve & Carol Schweppe create a first-of-its-kind display: delightful symbols of specific books, some pieces added by published authors and illustrators. EDUCATION OUTREACH - Begin Preview Presentations; create book clubs for Children's Brithdays and Summer Reading; establish Teacher Wish List service and Junior Book Reviews Program. Begin the winter holiday Slipper Stories series. Launch calendar of authors-in-store events. OUTREACH BROADENS - Set up author events at annual conferences with Reading Counsils of Santa Clara County, San Mateo, and Asilomar Regional. Extend events to schools and libraries that still partner with Hicklebee's. Start book fairs, fundraisers and school assemblies featuring authors. 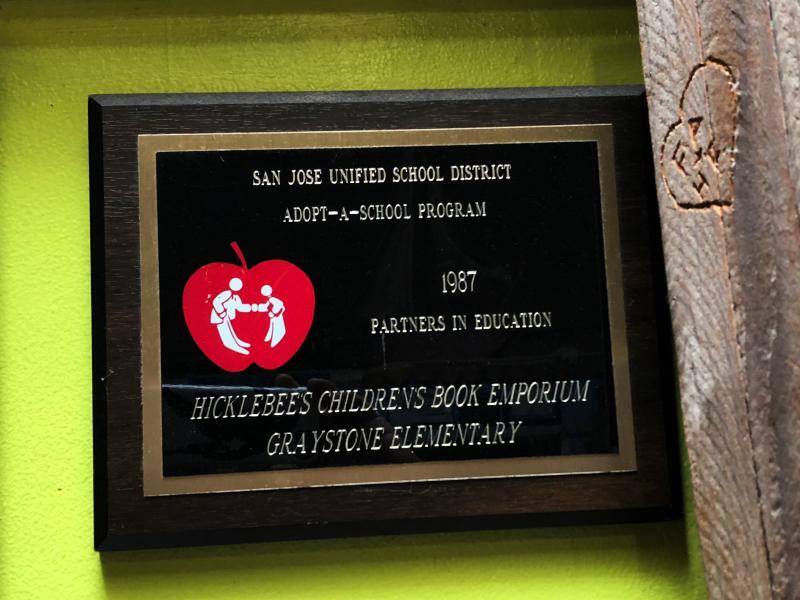 COMUNITY EXPANDS - Invite area schools to create store window displays; adopt Graystone School as part of Santa Clara County's Adopt-a-School program. Serena Murray heads up Hicklebee's, Where Books Come Alive! all ages dress as critters for Founder's Day Parade. 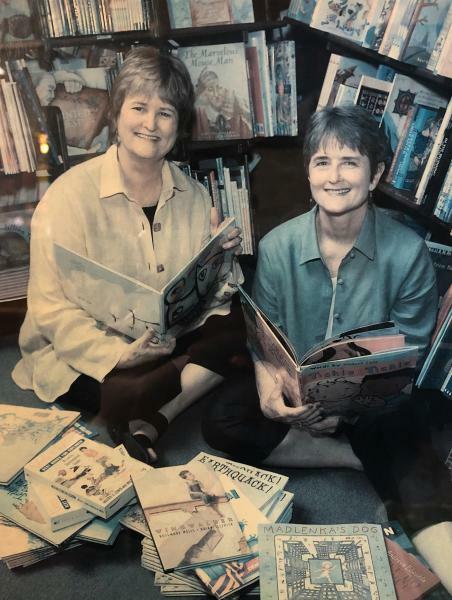 BAY AREA ALERT - Hicklebee's helps create the Northern California Children's Booksellers' Association and joins in reviewing children's books for newspapers, i.e., San Francisco Chronicle. HICKLEBEE'S RELOCATES - Willow Glen area volunteers show up for Book Brigade! They cart books, shelves, desks, toys and all, piece by piece across the Avenue to Hicklebee's present building. CO-OWNER VALERIE LEWIS ON TV - Begin 16-year stint reviewing books on CBS-TV Early Show. COMMUNITY SPACE - Set up Resource Room as meeting place for teachers. 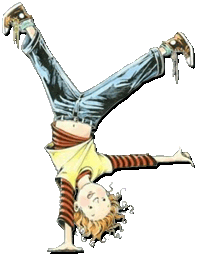 Offer workshops i.e., Magic Integrating Literature & Self-Esteem. Begin Summer Writing Class for children to create books, and Press Conferences for young adults to meet YA authors. Invite college, preschools and clubs to hold meetings after hours. Establish Book of the Month. GLOBAL FOCUS - Add Spanish story time. Adopt school Kiev - make pen pals, and book drive for Kiev. Valerie and Monica attend Bologna Book Fair. Valerie flies to Bulgaria and Latvia to share "indie" bookselling. She meets with Hilary Clinton at the White House re: Prescription Reading. MORE LITERACY OUTREACH - Hicklebee's works with doctors to establish Read to Your Bunny program, and arranges Reading Day at the Mall. Through NCCBA Literacy Grants, we help create opportunities for citizens who promote literacy. We establish the SCRIP fund raising program for schools, the Hicklebee's Game Card, the Algonquin Roundtable (a teen club), and Thursday Night Family Night - a summer reading program. 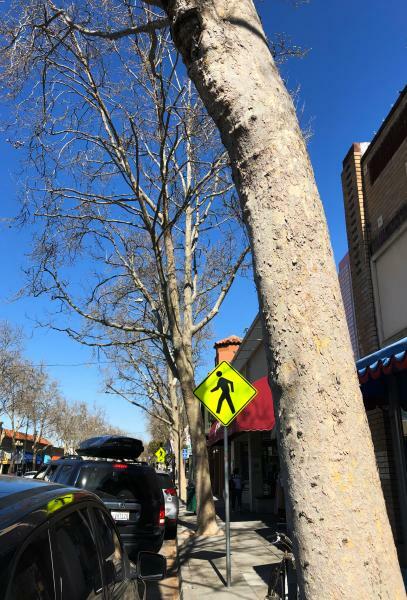 MONICA AND VALERIE OFFSHOOTS - Monica initiates the idea of a Saturday Farmer's market at Willow Glen Elementary, and local team work brings it alive! 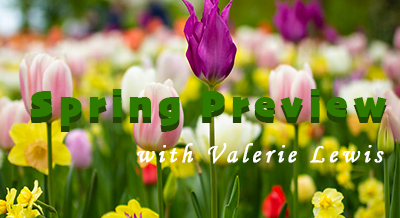 Valerie co-writes Valerie and Walter's Best Books for Children: A Lively, Opinionated Guide. The sisters create Lewis Previews, a video series of seasons' best titles for K-6. Series plays in libraries and bookstores around the country. LIFE SAVER - Ann Seaton joins Hicklebee's as Store Manager and saves our lives, every day! CELEBRITY EVENINGS - Hicklebee's and Commonwealth Club of Silicon Valley host author Julie Andrews, Caroline Kennedy, Dave Barry and Ridley Pearson. Their talks with Valerie air on NPR. GRAND OPENINGS OF MARTIN LUTHER KING JUNIOR LIBRARY & NEW WILLOW GLEN BRANCH LIBRARY - Hicklebee's provides authors and books for these two major community celebrations. BOOK BONUS PROGRAM - Reward loyal customers by inviting them to designate school or organization to receive books based on customer's accumulated purchases from Hicklebee's. HICKLEBEE'S BOOK OF THE YEAR AWARD - our entire staff votes for a favorite book of the season bi-annually. WORTH A CANDLE - Carol Doup Muller highlights a revered backlist title each week. EDUCATOR'S NIGHT - Valerie Lewis hosts an "open house" for teachers and librarians at the start of the school year. 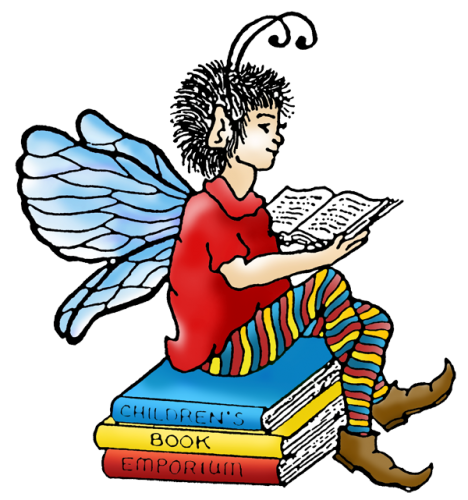 HICKLEBEE'S SUMMER ADVENTURE CLUB - Durring the summer months, we host ongoing activites and contests to inspire reading. 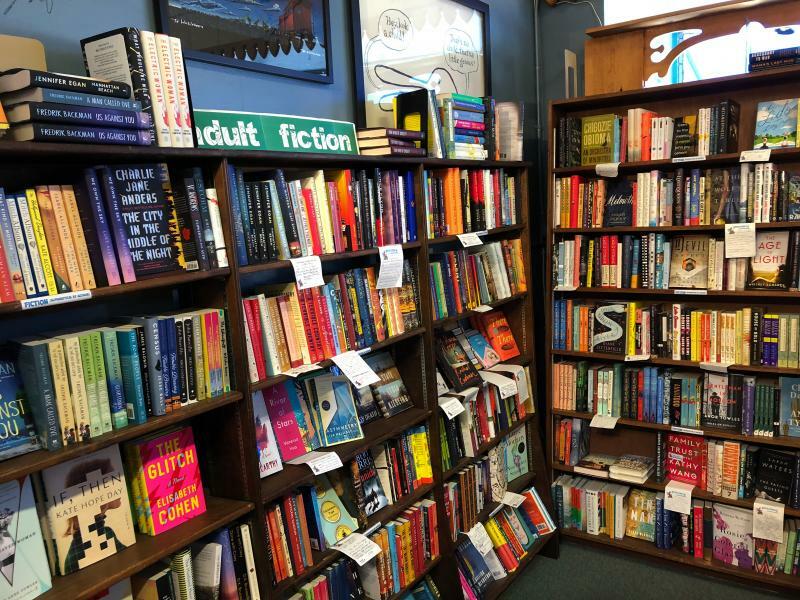 ADULT BOOKS - Hicklebee's expands a section of "grown-up" books. LIFE SAVER NO. 2 - Suzi Hough becomes the new store manager! TRIVIA - Hicklebee's hosts their first ever Harry Potter trivia event followed by Hamilton the Musical event. We bow to an ingenious, book-savvy staff whose shared years at Hicklebee's totals more than 200 years. May the joy of holding a book in our hands keep the front door swinging open. Hicklebee's Book of the Year!